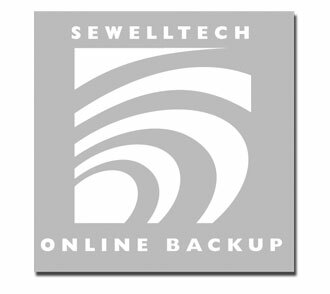 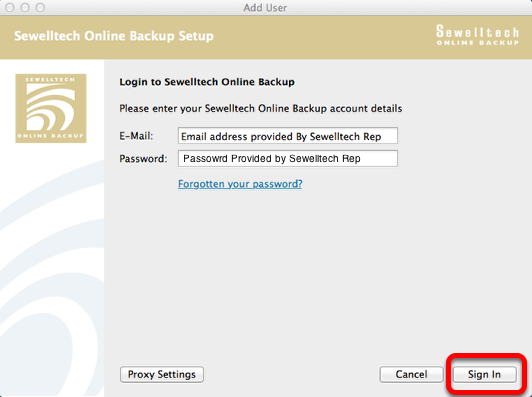 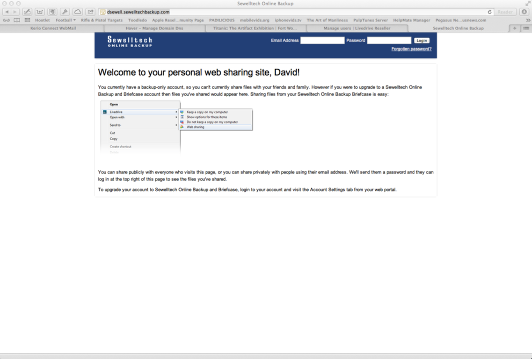 Sewelltech Online Backup Setup - Sewelltech, Inc.
A Sewelltech representative will provided you with your Email Address and Password to get logged in to the personal web sharing site. 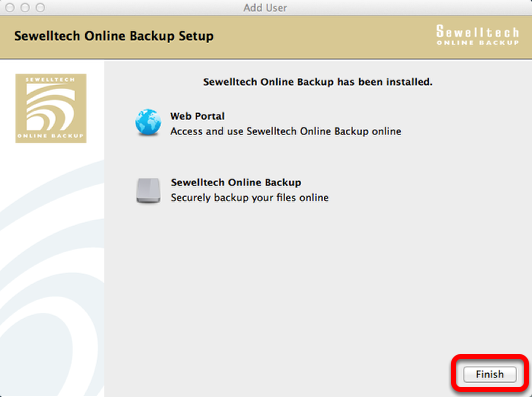 Download software for your system. 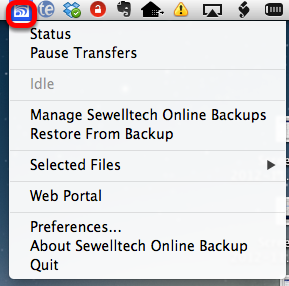 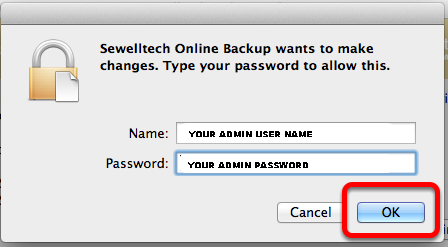 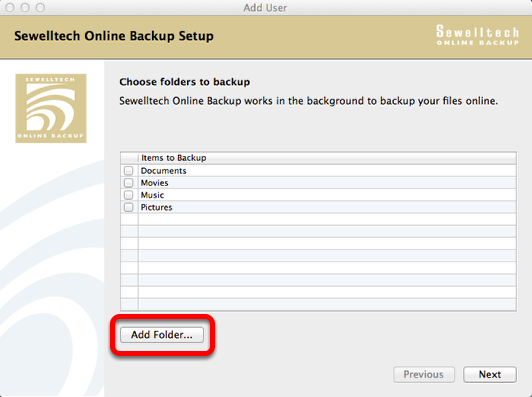 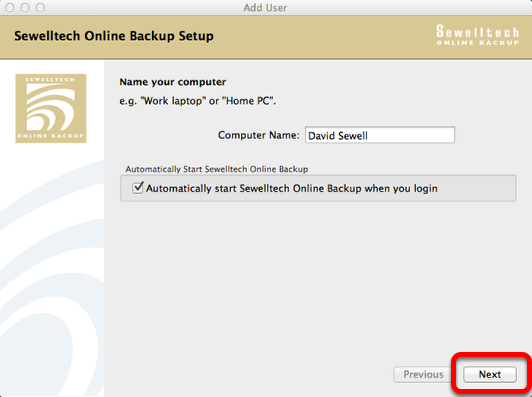 The Sewelltech Online Backup Desktop software is the easiest way to use your Sewelltech Online Backup account. 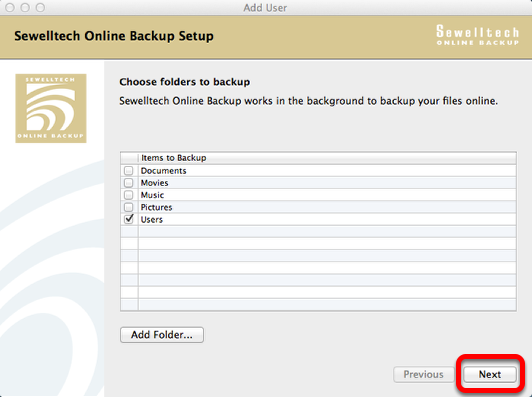 To start the software download, click on either the Windows or Mac download button to start your download. The Sewelltech Online Backup Desktop software runs in the background on your system and silently backs up your files while you work – once you’ve set it up, you can just forget about it. 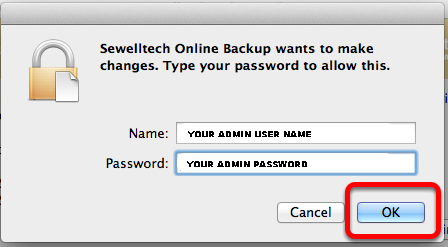 Doing so may require admin password. 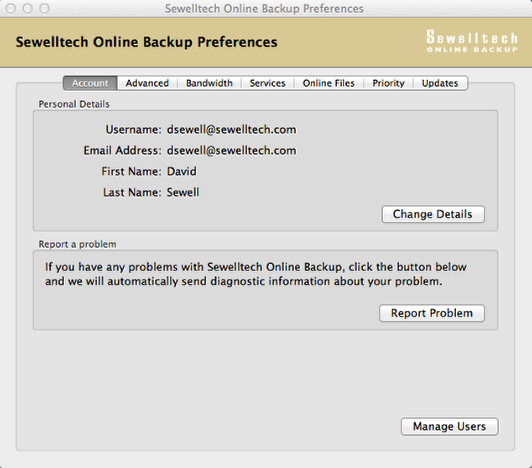 Type in a name to identify your system in the back process, a default name is provided.